Congratulations to Ram Prasad Kandel, Eye Health Hero! 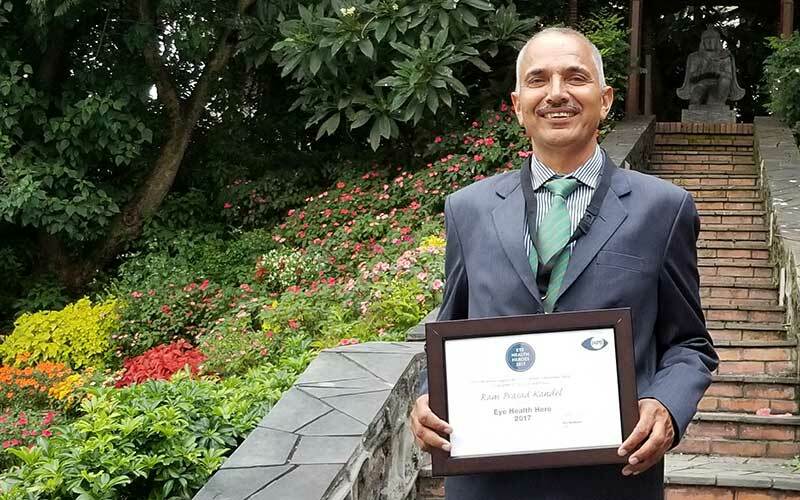 Seva Nepal Program Director Ram Prasad Kandel was named a 2017 Eye Health Hero by the International Agency for the Prevention of Blindness (IAPB). IAPB brings together governments and non-governmental agencies with the goal of eliminating avoidable blindness and vision impairment. IAPB’s Vision Atlas compiles the latest, definitive research on global eye health to inform this effort. This award celebrates Kandel’s 25 years leading Seva Nepal, during which time he established new primary eye care centers and eye hospitals while strengthening the financial and administrative health of these facilities. 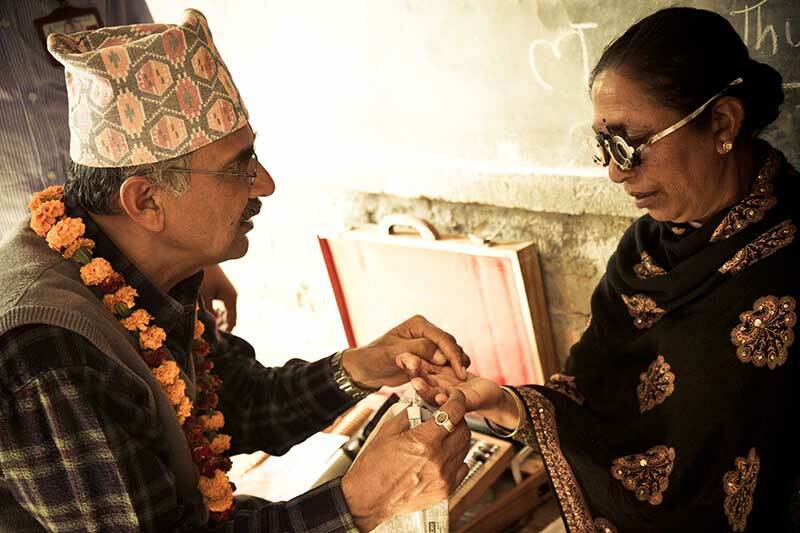 Seva now supports eye care for 9.2 million Nepalese people (out of a population of 30 million). Kandel became an ophthalmic assistant in 1982, after earning an undergraduate degree in health management and master’s degrees in health education and public health. He worked as an ophthalmic assistant, outreach coordinator and health educator at Lumbini Eye Institute from 1983-92. He rose to his position as Seva Nepal Program Director in 1993. Over the past four decades, Seva and its Nepalese partners have provided eye exams to 5 million people and performed 500,000 eye surgeries. Last year alone, Seva Nepal supported 846,600 eye exams, including 280,900 for children, and 78,900 cataract surgeries, and trained 4,400 community health workers and school teachers in primary eye care. The world’s first comprehensive nationwide survey to estimate the prevalence and causes of blindness was conducted by Seva, the World Health Organization and Nepal’s Ministry of Health in 1980-81. At that time, Nepal had only seven ophthalmologists and no mid-level ophthalmic personnel, with eye care facilities limited to Kathmandu. The country now has 200 ophthalmologists and 1,000 mid-level personnel, with 17 eye hospitals and 59 primary eye care centers throughout the country. Kandel says that growing up poor in a remote village inspired him to dedicate his life to providing eye care to all the people of Nepal. “I’m the luckiest person in the world,” he told IAPB, “because I can share the happiness of people who have their sight restored and their lives changed.” Seva is pretty lucky, too, to call him one of our own. Top: Kandel helps a patient cross a river on the way to treatment during his early days at Lumbini Eye Institute in 1986. Photo by Rameshwar Das. Above: Seva Nepal Program Director Ram Prasad Kandel with his Eye Health Hero certificate from IAPB. Kandel conducts an eye screening at a school in Gulmi, Nepal in 2012. Photo by Ellen Crystal. Ram Prasad Kandel, Eye Health Hero!